Today I'll continue my series of posts Plots that Changed the World. This time I'm focusing four of the most important results in astronomy's history. 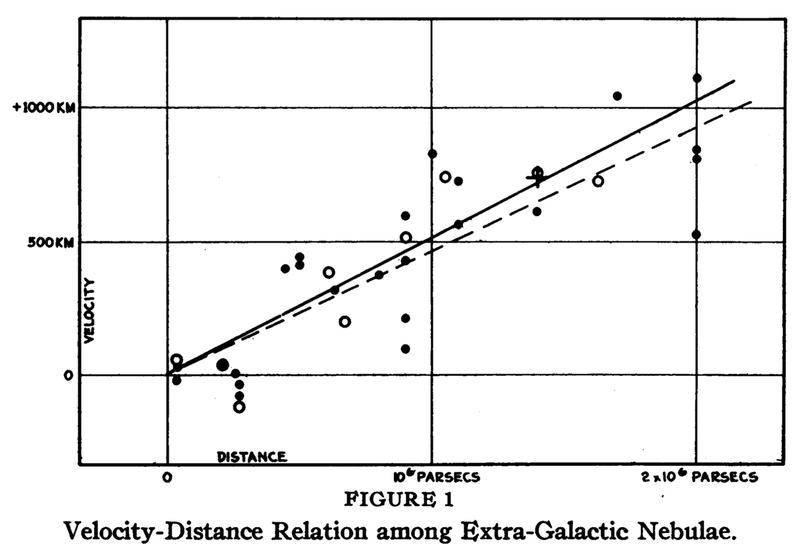 These are plots that changed astronomy, and in turn our understanding of the universe. Astronomy has a long history of changing the world. Ancient peoples relied on astronomy to plan crop seasons, foretell the outcome of wars, and in recent history stars provided the most reliable/accurate means to navigate and tell time. If you ask your neighborhood astronomer what the most famous or influential figure in the field is, they'd give you a wide range of answers (come to think of it, that's actually a really interesting survey to conduct...). The four graphs I have chosen here are undoubtedly famous, and behind each are wonderful stories of human intrigue and hard-fought discovery. Other important physical figures, such as the beautiful clock tower in Prague, the Antikythera device, and (many) complex astronomical alignments of buildings, easily come to mind as noteworthy in the history of astronomy. As always, I've picked graphs that resonate with me, often because of the stories surrounding them. 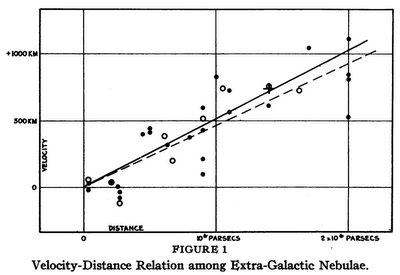 I invite you to share your thoughts on these plots and other famous astronomy results in the comments! This is a condensed version of the famous observations Galileo made of the Jovian moons. Jupiter is shown as the O, and the moons as *. Here is an incredible modern observation of the Jovian moons. Using these simple observations, Galileo deduced that each little * was actually orbiting Jupiter. 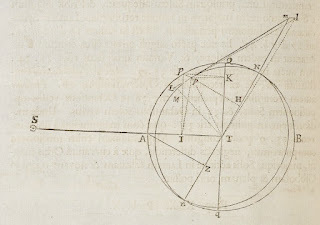 Along with the crescent phases of Venus, this gave credence to the controversial Copernican theory that the Earth is not center of the Universe. He published this notion in a lengthy and (in)famous book, which ultimately lead to his censure and imprisonment. What I love about this figure is its simplicity, Tufte would approve the sparse labeling and lack of extemporaneous axes. In the book Galileo places each observation neatly within the text, seamlessly melding data with discussion. When you align each date's observations with Jupiter, as above, the helix pattern the moons trace as they orbit nearly jumps out! A couple generations after Galileo, Newton picked up the reins along this incredible lineage of discovery. 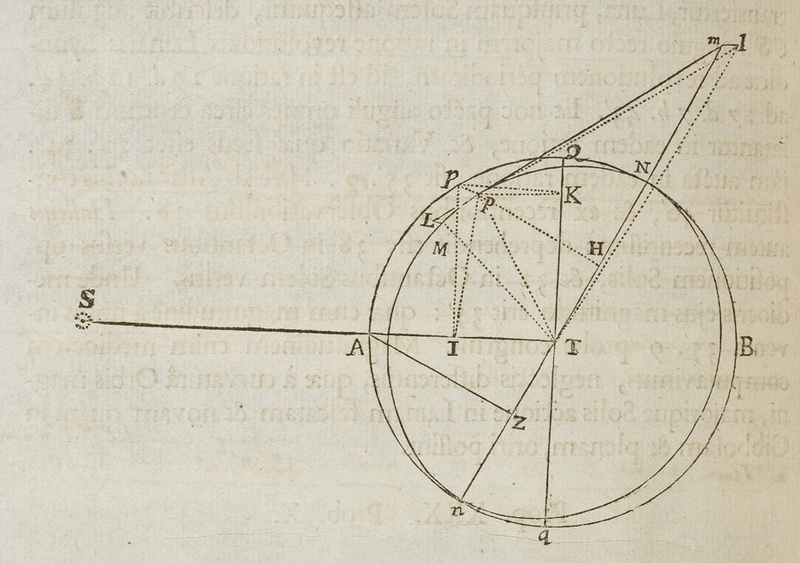 This figure is part of the discussion of the orbital shape and dynamics of the Moon, within the hallmark text Principia Mathematica. (Here is a cool discussion of the book, and here a translation of the page) The sun (Sol) is labeled with an S, and the classic circle around a dot symbol. Earth (Terra) is labeled as T, and the moon (Luna) with L.
This diagram looks exactly like those drawn on the chalk boards (long live chalk, death to dry erase) of modern college physics classes. The physical scenario is neatly framed out, all the players are labeled, the orbital trajectory and notable measurements are marked. This "simple" photographic observation, measuring the positions of stars during an eclipse, was verification of general relativity. 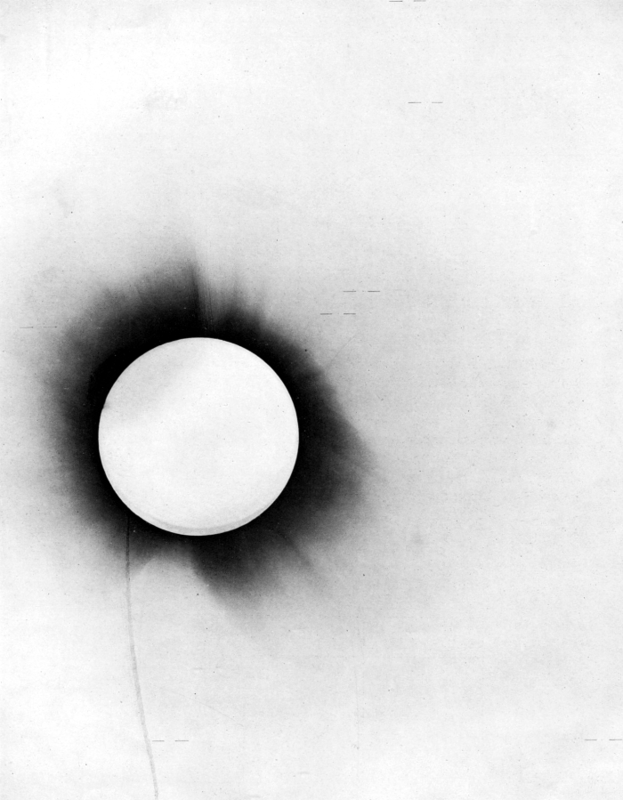 The eclipse blocked the sunlight, allowing observers to see background stars very close to the sun. Relativity tells us that the gravitational field from the sun also bends the path of light, and thus stars observed near the sun should have their apparent positions bent. The observation was not immediately accepted as proof, as the magnitude of deflection predicted was very small, but was eventually confirmed. The image now is iconic, and so wonderfully allows the method and data to be described. The explanation is now known as Hubble's Law, and provides a powerful observational foundation for our knowledge that the universe is expanding! It's a simple observation, and an equally simple (if not a bit ugly) graphic. Trying to explain the Hubble expansion to students often requires creative metaphors (e.g. baking raisin bread, ants on a balloon) and sometimes absurd in-class participation. You have to almost feel sorry for great thinkers whose world views were proven wrong. Time and again science has shown the hubristic model wrong. The Earth is not flat, nor stationary, nor the center of the cosmos. The sun is not special, and the surface of the moon is not smooth. The Milky Way is but one of countless similar galaxies, the universe is not everlasting nor infinitely old. Pity the modern astronomer every bit as much. Indeed, these plots changed the world. However, I think the Gun Powder plot, those fateful events of the fifth of November, should also not be forgot. Remember remember... the data analysis of November?